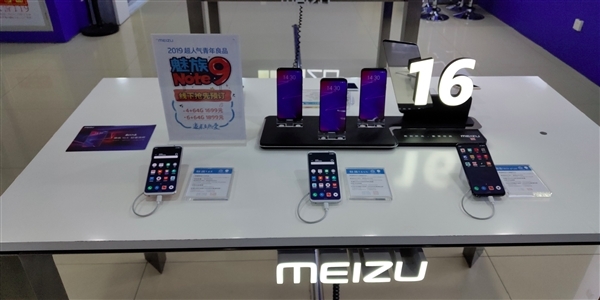 Meizu Note 9 Price Leaked for 4 GB and 6 GB RAM Variants - Playfuldroid! On Wednesday, Meizu will be announcing the Meizu Note 9 mid-range phone. The entire specs and images of the phone have been in the past few weeks. A fresh leak has revealed the pricing of the 4 GB and 6 GB RAM variants of the Meizu Note 9. There is no authenticity of the above image that shows the pricing of the Note 9 mentioned at a retail outlet in China. It shows that the phone will be available in two models such as 4 GB RAM + 64 GB storage and 6 GB RAM + 64 GB storage. These models are respectively priced at 1,699 Yuan ($253) and 1,899 Yuan ($283). The Meizu Note 9 will be featuring a 6.3-inch IPS LCD panel with a waterdrop notch. It will carry support for full HD+ resolution. The Snapdragon 675 chipset will be powering the handset. For photography, it will be featuring 48-megapixel + 5-megapixel dual camera setup and a 20-megapixel front-facing camera. It will be drawing power from 4,000mAh battery. The Flyme OS based Android 9 Pie OS will be preinstalled on the device. Rumors have it that there will be another variant of the smartphone that will be driven by Snapdragon 660. It may debut as Meizu Note 9 Lite.